Being able to earn a full-time income as a blogger is a dream for many people. Some are able to make that dream a reality, but most give up before ever reaching their goals. 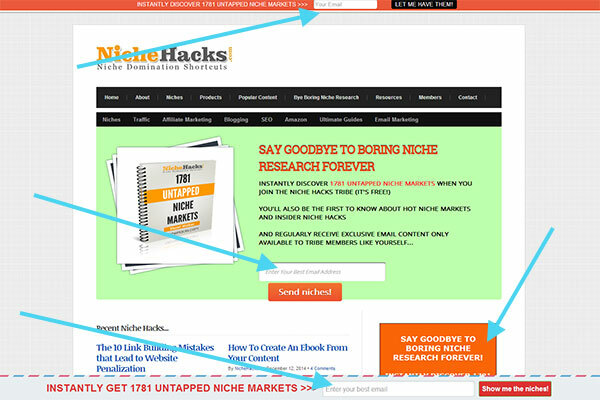 Niche Hacks is a blog that I’ve been following for close to a year now, and ever since I first came across the site I’ve been very impressed with how Stuart Walker runs the site. If you’re not familiar with Niche Hacks it is a blog that focuses on helping readers to find profitable niches for their own websites and blogs. The site recently turned one year old and Stuart published a progress and growth report detailing the first year of the site and its current state. If you read that post you can see a lot of interesting details about how the site has grown, but perhaps the most interesting part is that Niche Hacks is now generating a profit of over $6,000 per month. That’s a fantastic accomplishment for a blog that’s only one year old, so I reached out to Stuart to see if he would be willing to answer some questions about how he achieved this. If you’re looking to start a blog or hoping to work your way towards a full-time income from blogging you won’t want to miss the advice and insight that Stuart shares here. Spoiler alert: One of the biggest keys to Stuart’s quick success has been hard work. He was willing to put in a lot of time and effort to get Niche Hacks off the ground, and from my experience, most bloggers aren’t willing to do that. I think Stuart’s story is excellent re-enforcement of the fact that it takes commitment to build a successful blog from scratch. 1. Can you tell us about your experience with websites and blogs prior to Niche Hacks? I’ve been messing around online for over 6 years now, had dabbled in everything from blogs to Amazon sites to video to info products. Wasn’t always taking it seriously or putting the effort into it though. To begin with I was always chasing “easy money” and “fast cash” and ultimately wasting my time when I should have been trying to build a business. 2. Please tell us a little bit about why you started Niche Hacks and what makes it different from most internet marketing blogs. I’d wanted to launch an online marketing blog for some time but I didn’t want to create another generic “internet marketing” blog for you where I covered pretty much anything and everything on the topic of making money online from blogging to SEO to freelance writing and beyond. This is something I see often in the IM blog niche which is ironic considering we should know the importance of picking a super specific niche more than anyone. So my plan was to “niche down” and pick an online marketing sub-category. The original ideas that seemed the most promising were affiliate marketing, email marketing, blogging and traffic. Most of these could have been niched down even further than that. Eventually I realized that “niches” were a niche in themselves and could make for a great blog. Other aims included helping YOU to live out your dreams whatever they may be just like I am. Online marketing allows me the freedom to travel, live in tropical countries, do as I please from day to day and keeps me away from the 9 to 5. I also wanted to put out the sort of content you don’t find on most blogs. Epic big posts. In-depth guides. Tutorials. The sort of stuff people would pay good money for but could find here free. Topics like The Ultimate Guide To Finding A Profitable Niche, 31 Ways To Promote Blog Posts, 34 Ways To Skyrocket Your Blogs Email List, and 1109 Profitable Niche Markets Evaluated. I was inspired by blogs such as Matt Woodward, Backlinko, Viper Chill and Quick Sprout. I’ve been clear to tell everyone from the start that this IS hard work, it’s not easy, and you do need to invest a lot of time in it to work. 3. For the first 6 months Niche Hacks didn’t really make any money for you, but you were steadily building the foundation of what would become a very profitable blog just a few months later. What were you focusing on during those first few months? Building up my content, email list, and audience. I knew it would be profitable eventually so I wasn’t worried about investing money into it to make it grow as it was always going to be a long term project. You need to take a long term approach. Most people can’t or won’t. 4. What have you done to promote your content or to get exposure? I haven’t promoted the blog actively for months now but traffic still grows. In the early days I was really hustling to get attention and traffic by sharing content heavily on social media, adding to sharing sites (like Kingged, Reddit, Inbound etc), engaging in content marketing and link bait to get other bloggers attention, lots of manual outreach through email and Twitter, networking etc. But it’s hard to keep that up AND create content AND work on conversions and all the other stuff. Eventually things snowballed and traffic was coming in anyway without too much effort. I’m at over 30,000 visitors a month now and the reason for that growth is mostly thanks to my strong email list which continually drives traffic back to the site day in day out. Unlike most bloggers who mail once in a blue moon you’ll receive an email from me every couple of days showing you a useful post, sharing exclusive content, new content and more. 5. On average, how many hours per week do you work on Niche Hacks? In the beginning for the first 6 or more months it was about 12 hours a day or more. I really worked hard at it. Now it’s less. 5 or 6 hours maybe, if that. I want to eventually pretty much cut down my involvement in the day to day running of it and have a team who work the blog for me with me managing and making the decisions and them carrying out the task. I think this is the only way forward. Running a profitable and popular blog solo is a full time job and means you can’t work on other projects which I have tons of ideas for including another blog I REALLY want to start but don’t have time for. 6. Why did you decide to start hiring other writers to produce content for the blog? I was burnt out with content. To get other things done on the blog (promotion, creating products, the membership site, working on building my list, conversion optimization etc) I had to go on content blitzes where I’d crank out loads of content in a short time for weeks and weeks ahead to free up time to do other tasks. But this is so tiring and the content was sub-par at best because it was rushed. I ended up hating writing and it felt like a chore. The only solution was to hire some writers to help with the content. That’s been a task in itself but it’s helped a lot as I’ve been able to focus on other aspects of the site and grow traffic and income. 7. Niche Hacks makes money through affiliate marketing, selling your own products, and membership. How would you compare those opportunities and do you plan to focus on any of them more in the future? Affiliate marketing is still the bulk of my income at over 60% of total income but info products and the members area is creeping up and I expect will continue to grow. I want to eventually make my own products the bulk of my income and only promote the odd affiliate product / launch. It’s hard work creating affiliate promos or reviewing products every week and it comes with a whole new set of problems too as the product vendors don’t always treat their customers as you’d like – poor support, refusing to refund, promoting too heavy etc. I’ll probably turn my best products into courses or something eventually. 8. How do you find the right balance between promoting affiliate products and promoting your own products? I haven’t found that perfect balance yet. My own products haven’t really gotten much exposure outwith when they launch. I’m working on that still now. I also could open my products up to affiliates as it’s just been internal launches at the moment. 9. What tips do you have for building an email list that is engaged and responsive? Offer an irresistible “lead magnet” that solves the #1 problem your audience have (in my case most people are looking for a niche so I give 1791 profitable niches to them) and then follow up with 2 weeks of daily emails showing them your best content as well as opportunities for them to contact you and ask questions (very important as most marketers will not do this – I do and reply to EVERY mail). Then follow up with new posts, exclusives, and promotions. 10. If you were to start a new blog tomorrow is there anything that you would do differently than you did with Niche Hacks? Go even more focused. I talked here how I didn’t just want to create a generic “internet marketing” blog but one with a more specific aim so went with the niche idea but I’d probably go even more focused like “affiliate niches” or “blogging niches” to avoid the confusion (which I also talked about in the above post) about what the site is about. I get questions from people who think the site is about everything from ecommerce to Amazon product review sites to Kindle books. Even though I never talk about these things on the site. I would make it crystal clear from the start EXACTLY what the blog is about and be sure to mention it wherever possible. I actually plan to do this going forward as there’s still a lot of confusion about what the site is about. I am primarily revealing affiliate niches, and sure people can do as they please with these niche ideas, but I want to cut down on the random questions I get all the time about ecommerce, Kindle, and whatever else that has nothing to do with the site and I have no knowledge on. Thank you to Stuart for taking the time to answer these questions, and for the willingness to share and be transparent in the process. I wanted to end this post by listing a few things that really stand out to me as I read Stuart’s responses and look at what Niche Hacks has accomplished in one short year. Stuart put in an average of about 12 hours per day for the first six months. That’s a lot of time and dedication. Most people aren’t willing to work that hard. That’s really only half of it though. Not only was he putting in long hours, Niche Hacks wasn’t really making any money for those six months. Stuart was willing to put in the work knowing that he would see the results down the road. Starting a new blog takes sacrifice and most people are not willing to make the same sacrifices that Stuart was willing to make. Now he is reaping the rewards of that dedication. If you’ve been to Niche Hacks you know that Stuart’s main priority on the site is to convert visitors into subscribers. Just look at the area above the fold and you’ll see 3 different optin forms, the top of a 4th one in the sidebar, plus there is a popup. After adding content to the site and placing more emphasis on the email list Stuart has built a responsive list of about 6,000 subscribers, and that list is growing every day. The list accounts for a considerable amount of traffic to the site and income through promotions of affiliate products and his own products. Not only has the email list helped Stuart to make Niche Hacks very profitable just 12 months after launching, but that email list will continue to be a very valuable asset that will bring in money for months and years to come. It’s no secret that growing an email list is one of the best things you can do for your online business, and Niche Hacks is proof of that. Stuart knows exactly what his target audience will be looking for, and he stays focused on that. 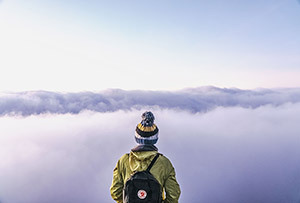 He aims at making Niche Hacks a useful resource for people looking for help with niche websites, and he doesn’t get distracted by other internet marketing topics not relevant to niche sites. Stuart makes a profit of over $6,000 per month from about 30,000 visitors. While 30,000 visitors is a nice accomplishment, it is not an extraordinary number that is unattainable to the average blogger. With that amount of traffic he is making a monthly profit that would add up to well over $70,000 per year. Due to the growth that Niche Hacks has experienced over the past few months those numbers are extremely likely to continue to increase. Stuart worked long and hard during the first six months and made almost nothing from the site. The past few months he has cut his hours in half (or more) while his income has grown very quickly. This type of progression is not uncommon for growing blogs, although Stuart’s growth has accelerated faster than most. At first you’ll need to put in a lot of work with little reward. At some point your traffic sources become more reliable and you don’t have to work so hard to get those visitors. Also, if you’re building an email list and mailing the list actively you should always be seeing some growth in your traffic, and probably your income. If you’re willing to put in the time in the beginning and stick with it, things typically become much easier in the future. What are your thoughts about the growth of Niche Hacks in one year? Please feel free to share your comments or questions.